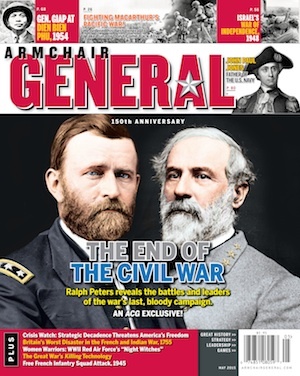 Admin | Armchair General Magazine - We Put YOU in Command! Where to send games, books and DVDs for to be considered for review on the Armchair General Website. How to put Facebook's Like button on a Vbulletin 3.X forum. How to become a game reviewer for ArmchairGeneral.com. Guidelines for writing game reviews for ArmchairGeneral.com. This is a protected guide to help the game news people. Each month we'll select one story from all the entries and publish it in our new column! Links to all of my articles. A resource for museum curators who may be able to assist with prospective new articles.